After the drubbing at the hands of a rejuvenated, yet still underwhelming, West Indies outfit, the ECB, selectors and the players themselves are bound to have come to a sobering realization. They have been undone by a series of choices all of their own making, and they must now bear the consequences. The newly formed selection panel of Ed Smith and James Taylor has been lauded within the ECB and media circles for 'thinking outside the box' and for using initiative to bring in players that were nowhere near worthy of selection, but were more inspired picks on instinct alone. That was all well and good through a successful, yet not fully convincing, home summer against India and throughout the drubbing of a hopeless Sri Lanka in their own backyard. Plaudits were aplenty, and the English media praised the off-the-cuff picks of of Jos Buttler, Jonny Bairstow at three and the sticking with Sam Curran, although his wicket returns were less rated than his batting prowess. The issue now, after what we have seen in the West Indies, is that picking players to plug gaps rarely works. The consequences of playing an unconventional side filled with keepers and batsmen woefully out of position, and of diminishing your stocks for the sake of variety, will almost always end in disaster. Yet there does seem to be something else at play within this England set up, and something that needs to be resolved. Joe Root, the team's premier batsman, has almost forced the selectors' hands. His constant refusal to bat any higher than four is not only detrimental to the team structure, but it has made Smith and Taylor bring in players to make up for his own personal declination to do the best for the team and not for himself. With a lack of viable options at first drop, and with an injury forcing him out of the side, Bairstow has now been thrown in the deep end to fill this most vital position. Bairstow does have batting talent, but a number three he is not. 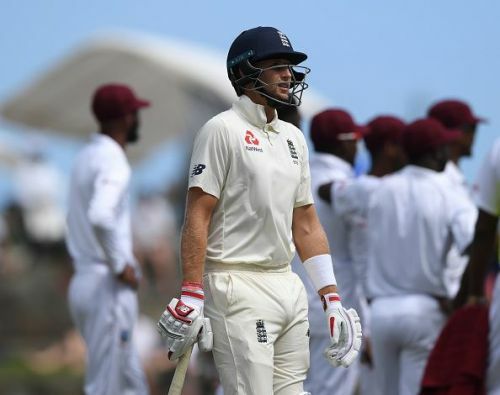 Being bowled 29 times in Tests does not bode well for a position where the ball is typically at its fiercest, and this was more than evident in the team's capitulation in the West Indies. England's selections over the past six months have not been sustainable. Picking players with middling batting averages, ODI prowess or power hitting ability was fraught with danger, and it is a surprise that these deficiencies weren't exposed earlier than they were. Kemar Roach, Jason Holder and Shannon Gabriel bowled superbly through England's short and horrid visit, and kudos to them. But the English selectors now have a bigger conundrum on the horizon - the Australians in Pat Cummins, Mitchell Starc and Co. who will no doubt pose a much greater threat against what has now been shown to be a brittle and unprepared batting line-up. The English selectors have gone from heroes to zeros in the space of one series, and they now have limited time in which to make up for lost opportunities and review their selection criteria. You sense that this is a line-in-the-sand moment for them. With the Ashes being the biggest prize of all, a few stern words might just be pointed in Root's direction. And a few other 'inspired picks' only months ago might just be looking over their shoulders.